An MRI Arthrogram is an MRI of the joint with contrast. It is most often performed on the shoulder, knee or hip. The contrast allows for better visualization of the joint to show tiny tears in the cartilage. 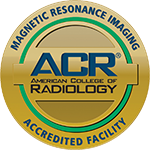 If your doctor has ordered an MR Arthrogram you may follow your daily routine before having your test. There are no diet or medication restrictions. The first part of the exam will be done in an x-ray procedure room. The skin over the joint to be studied will be cleansed with an antiseptic. Using a small needle the radiologist will then anesthetize the area using a local anesthetic. After the area is numb a needle will be placed the joint space using an x-ray machine to help guide the injection. When the needle is in place, two types of contrast will be injected. One allows the radiologist to see that he is in the joint space; the other shows on the MRI images. You may have a pressure sensation when the contrast is injected. This part of your study will take about 20 minutes, after which you will be sent to the MRI scanner for the rest of your study. The MRI will take between 20 and 30 minutes. You may leave right after your MRI. Restrict yourself to light activity for the rest of the day. You may resume normal activities the next day. Your joint may feel stiff or sore the next day, but this should get better in a day or two. If you have significant pain after the test, please contact us or your referring doctor right away. A rare but possible problem is joint infection, which should be treated immediately. 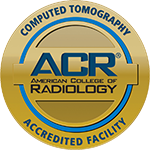 Once your study is completed, the radiologist will interpret the images, and send a report to your referring physician. You can get your results when you follow-up with your doctor. Are you allergic to x-ray dye, (iodine contrast material, MRI contrast material)? Are you allergic to local anesthetics such as lidocain or novacaine? Do you have renal disease?